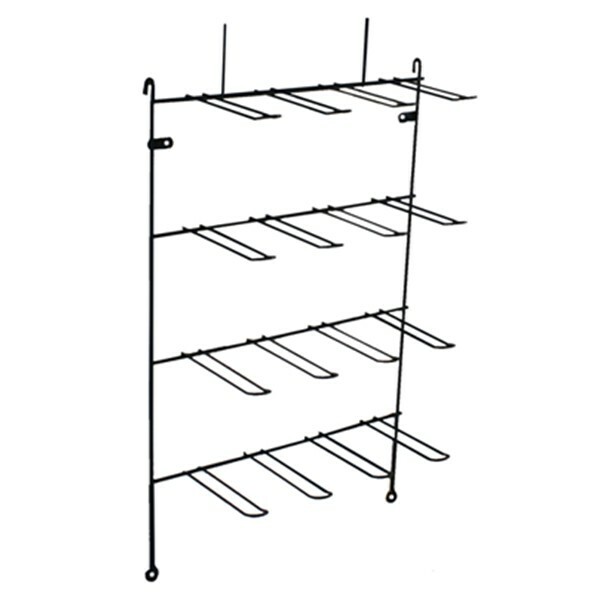 This bent wire rack is engineered to hold Reaper Miniatures blister card products. Signage display pegs designed to work with a corrugated plastic sign. 16 pegs each 6 inches deep. Each peg can hold 5 to 8 blisters. Displays 80 to 128 blisters total. Versatile installation options, holes for mounting straight to walls or pegboard or hooks for continuous wall rack display or to hang from wire rack display.